This 87.00 carat double strand, layering necklace is styling and features a grand total of 87 faceted briolette diamonds in two different lengths. 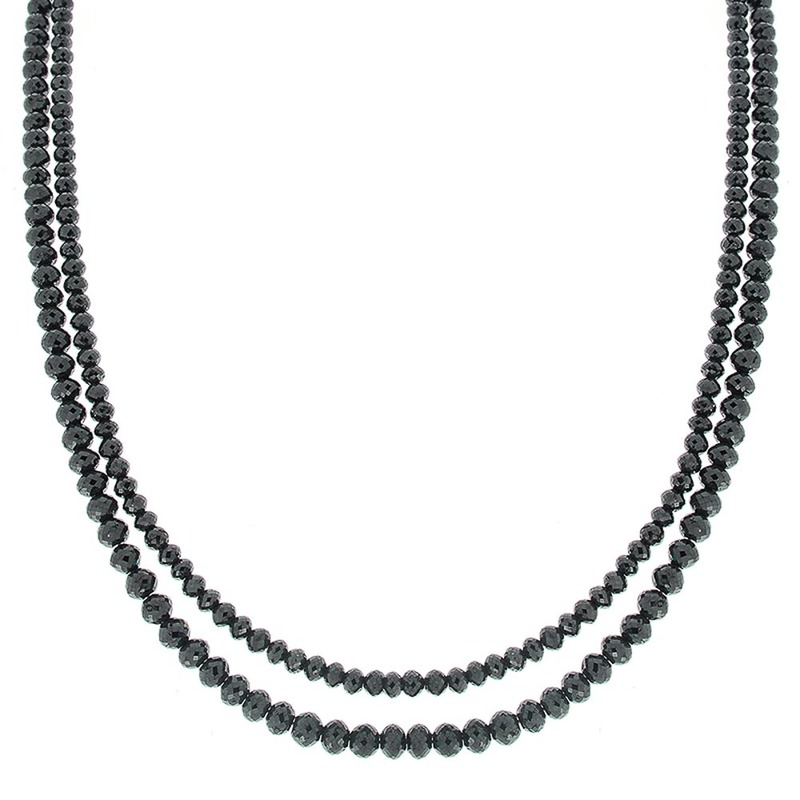 These shimmering black diamonds are arranged with the largest beads on the outer layer allowing them to lay gracefully once placed on the neck. Designed in brightly polished 14 K white gold, this incredible diamond tennis necklace is perfect for anniversary or birthday gifts. If you couldn't imagine wearing over 80 carats of diamonds, you can now.